Handy storage bags zip shut and feature external pockets for quick access. Bags attach to the roll bar braces with rugged hook and loop straps. Available in factory-match colors to coordinate with other accessories. Larger Saddle Bag for Wrangler JK has convenient shoulder strap and sold individually. 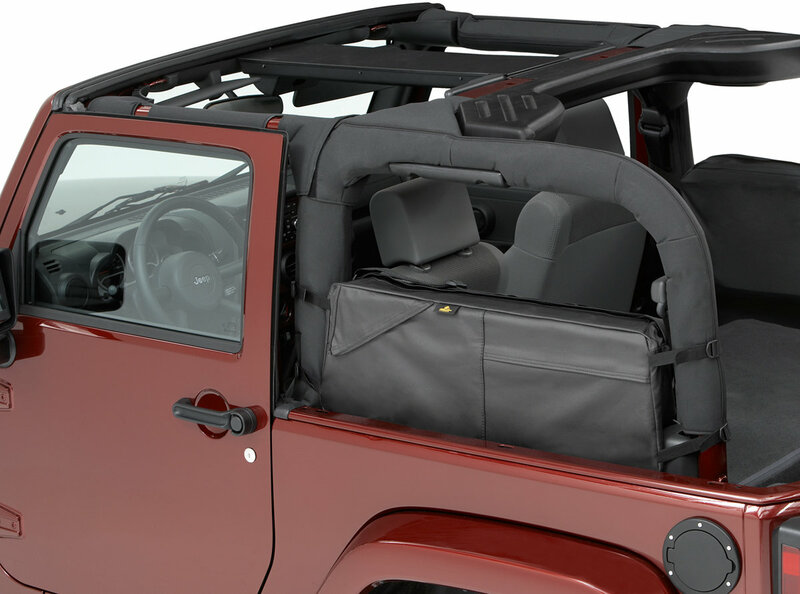 RoughRider® Saddle Bags utilize what would otherwise be wasted space to expand the storage capacity of your Jeep®. Secure to sport bar uprights for convenient yet attractive storage. Outer accessory pockets secure with velcro for easy access to small, frequently used items. Perfectly matched to original equipment exterior colors. To keep your Bestop RoughRider® Saddle Bag clean and protected, we suggest using Bestop® Fabric Care for unsurpassed appearance and long life. Will these work in a two door hardtop? Yes, these work with both hard and soft tops. I notice that this item is pictured with the cover and frame off of the vehicle. Can this bag be secured to the roll bars with the cover on and folded back? 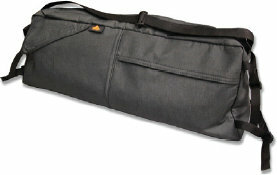 The saddle bag can be used with the soft top frame installed and folded. The soft top was removed in the photo purely for cosmetics (To make the photo look "nicer") but the saddle bag is indeed made to be used with the soft top in place.